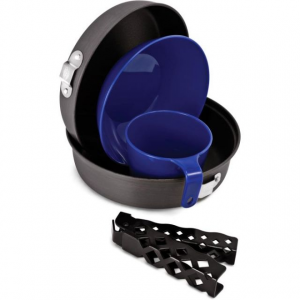 Visit GSI Outdoors's Bugaboo Mess Kit page. 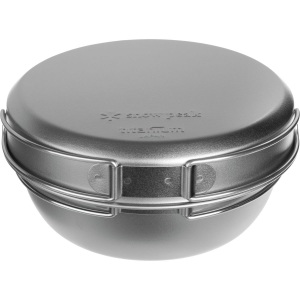 This lightweight, nesting cookware set includes a 7.5 frying pan with lid, 1-qt. 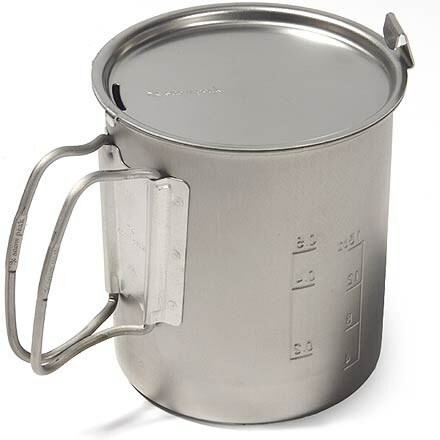 pot, 12-oz. polypropylene cup and a 6 polypropylene bowl. 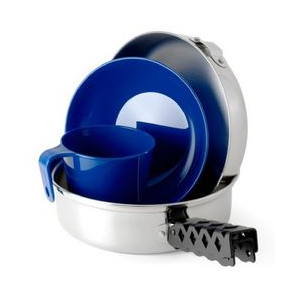 The DiamondBack Gripper handle clamps on to exterior brackets, preserving the cookwares non-stick coating. Includes mesh bag for easy transportation. Dimensions: 8L x 8W x 3.2H. Weight: 16.7 oz. Cancer and Reproductive Harm- www.P65Warnings.ca.gov. Type: Cookware Sets. 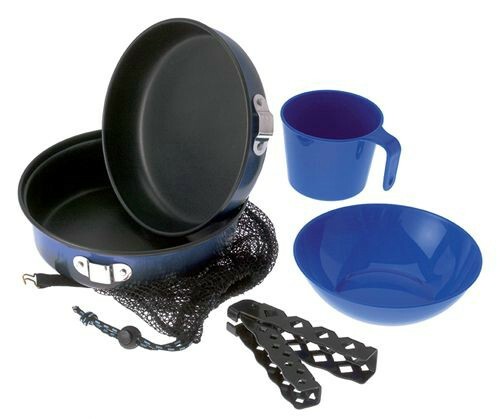 GSI Camp & Hike Bugaboo Mess Kit 148356. These high-quality aluminum pots and pans are light enough for backpacking yet heat evenly enough to satisfy the most demanding camp cook. 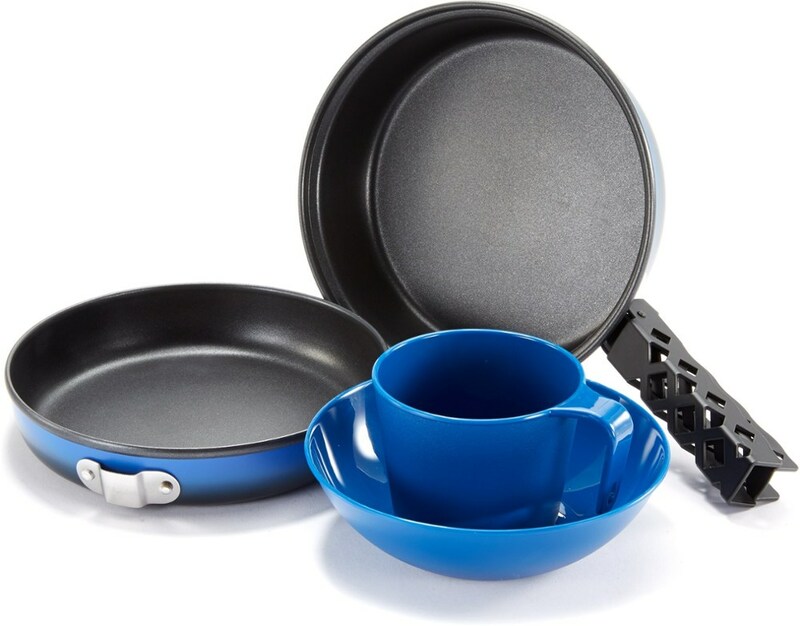 Plus each piece is fully-formed then coated with two layers of durable nonstick coating for added scratch resistance. 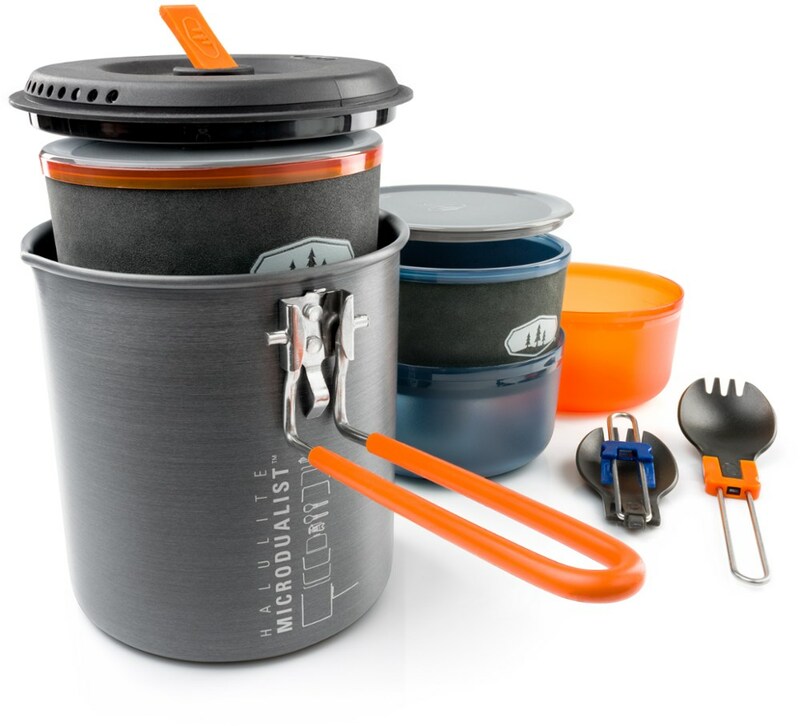 The GSI Outdoors Bugaboo Mess Kit includes a versatile aluminum pot and pan that are lightweight enough for backpacking, yet will heat evenly enough to satisfy the most demanding camp cook.